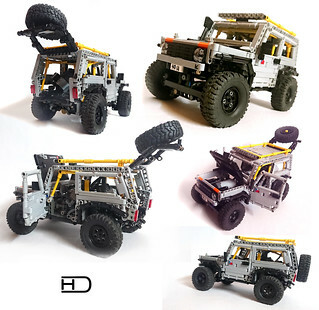 RC (and offroad styled) version of my model of VAZ Niva 4×4. It use one XL motor, servo and Li-Po BB to get over almost every obstacle, that is in it's way. It also use 3rd party tires for better look. Video is not available yet.